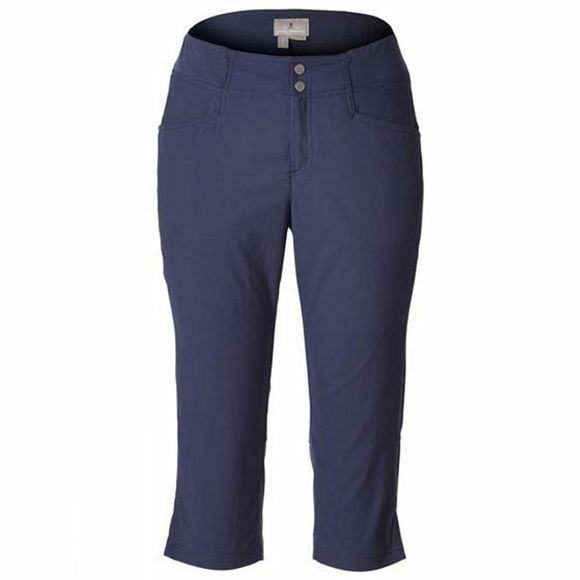 Designed for active-wear, the Royal Robbins Women's Jammer II Capris combine freedom of movement with great fit. Jammer Stretch Nylon fabric has plenty of stretch whilst still retaining the shape of this capri pant, no matter how adventurous you get. Partial elastic waistband provides optimal fit-flexibility. Wrinkle resistance means this go-everywhere piece can be rolled and stuffed into luggage and popped straight on upon arrival.